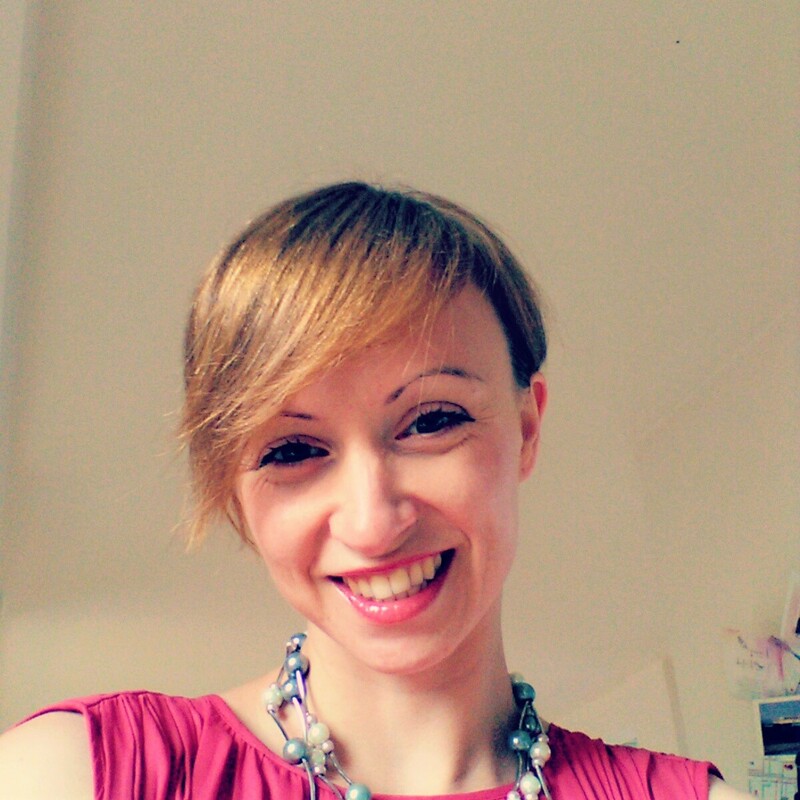 My name is Dana, fully certified Prague guide and also owner of Prague Behind The Scenes, small local business providing original small group / private tours of Prague. I was born and raised in Prague. Sample kid of 80´s. Born in communism, living in democracy. When the regime changed in 1989, I was already 8. Dana, Prague local guide for Prague Behind The scenes Tours. Most of my life I have been breathing this local Prague air. However, I also spent some time abroad and have been traveling extensively. Besides Czech Republic, my second homes are Canada and Norway where I used to live. Authenticity is a word that describe me, my work and the way my business is set. What does that mean? I will never offer you a touristy bubble, overpriced services or provide you with recommendation just for commission in return. Why? Because I am no way involved in the local heavy tourism which I find really sick sometimes. I am an independent individual who enjoys personable approach and quality over quantity. My everyday goal when leading the tour is to show people my city through the eyes of Prague resident. In less touristy way and with respect to amazing Prague genius loci. 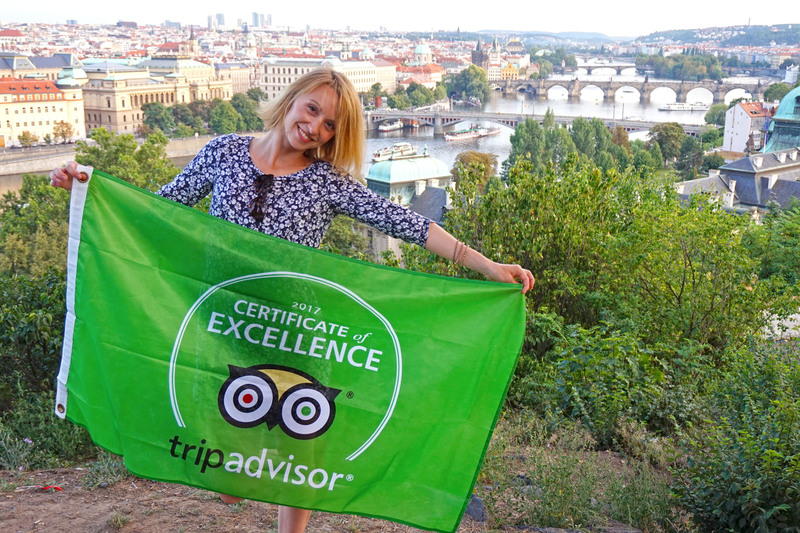 Certificate of Excellence from TripAdvisor for Prague Behind The Scenes. Happiness! In my decision to become a Prague guide I was very much influenced by Couchsurfing where I have been member for more than 10 years now and through which I voluntarily guided and showed around number of fantastic people who inspired me to turn my skills and passion for meeting travelers into Prague Behind The Scenes project. Before, I was many years working in PR, advertising and social media field. I also completed my full certification in 2010 to become official Prague guide. Dana is the best guide you could have in Prague. She clearly loves her city, and knows a huge amount about it. (She answered every question I could think of, and I am a history nerd.) She has also done a lot of other interesting stuff, so it’s great to talk to her about her life experiences as well. Finally, and most importantly, she makes excellent beer recommendations. 🙂 🙂 Thanks again Dana, and hope to see you soon! Dana was my guide through Žižkov, very interesting part of Prague, where tourists usually don’t come. She is so nice, clever and funny I couldn’t believe… we talked about different topics, from hockey to movies and music and she is always very well informed companion. Dana, thank you for the wonderful evening! Dana showed me around this beautiful city and is very knowledgeable about her surroundings. But most importantly I enjoyed spending time with her. She is very sweet, positive, and caring for any traveler who comes her way. We had some really great times together that she made me feel like an old friend who has come to visit her. Dana thanks for a wonderful experience in Praha! I need to thank to all of my friends whose words basically cheered me up to build this project. I really hope you will enjoy Prague Behind The Scenes tours – its idea, content and my company, too. Thank you and see you in person soon!